Electronic duo Glen Check are nothing if not careful in crafting their music. It has taken the group four years to drop “The Glen Check Experience” -- a multi-genre EP consisting of five tracks that came out on Aug. 13. It wasn‘t a lack of inspiration or difficulty getting together that led to the substantial gap between the two albums. 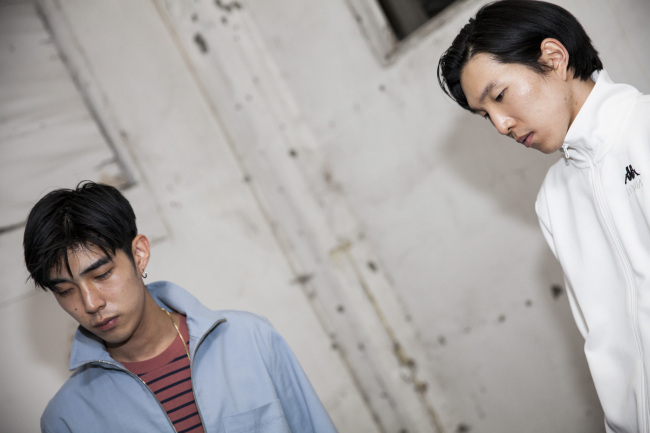 Glen Check’s Kim June-one, 23, and Kang Hyuk-jun, 22, say that “every single day of the four years” was spent on developing the album’s story, one that could deliver a new kind of musical experience while laying the ground for future projects. The album is as conceptual and abstract as the group’s previous releases. It’s also less energetic, more pensive and contains a melange of even more musical influences than before. “People say our style has changed, but the truth is, we’ve branched out into new styles for every one of our albums,” said Kang, who plays the bass and synthesizers, in an interview with The Korea Herald at the group’s Mapo-gu studio last Monday. The two members met at Busan International High School and bonded over a shared interest in music and overseas experiences. After a quiet debut in 2011, the group’s first studio album “Haute Couture” in 2012 was met with rave reviews from critics who hailed the duo as a rising talent and potential leader in Korean electronic music. Bouncy with a vintage disco feel interpreted in a modern way, Glen Check’s songs such as “60’s Cardin” was used in a Hyundai Card commercial and in variety shows. The duo went on to win best dance and electronic artist at the Korean Music Awards. Their second studio album “Youth!” also received ecstatic reviews, described as “boundary-pushing” in terms of musical and visual experimentation, as possessing an edgy ’80s energy and infused with the recklessness of youth. Setting plays an important role in Glen Check’s music, explains Kim, singer and guitarist. The first studio album was recorded mostly in France, and the second in Barcelona. This album is an amalgamation of life in Seoul. “We get a lot of influence from the culture (of a place,)” said Kim. Having grown up abroad -- Kim in France, the US and Japan, and Kang in the US -- they write their lyrics in English and are attuned to the mood of each country. While formulating the album concept, the two pursued DJing gigs at Itaewon clubs such as Cakeshop, Soap and Contra. Glen Check listened to everything from ’90s techno and R&B to trap, hiphop, soul and jazz during the making of the album, they explain. Indeed, childhood influences including Prince, Michael Jackson, Daft Punk, Pink Floyd, Led Zeppelin, Joy Division, Eminem, Kanye West and more -- in short, good music from any and every genre -- are to be found in all their music. The group then meandered through different art forms for inspiration, from film to literature. Kim and Kang looked at the plot of the “Star Wars movie series, at the development of epic hero stories and books such as “The Hero With a Thousand Faces” by Joseph Campbell, a work of comparative mythology. The result is “The Glen Check Experience,” which seeks to take listeners along a musical journey. 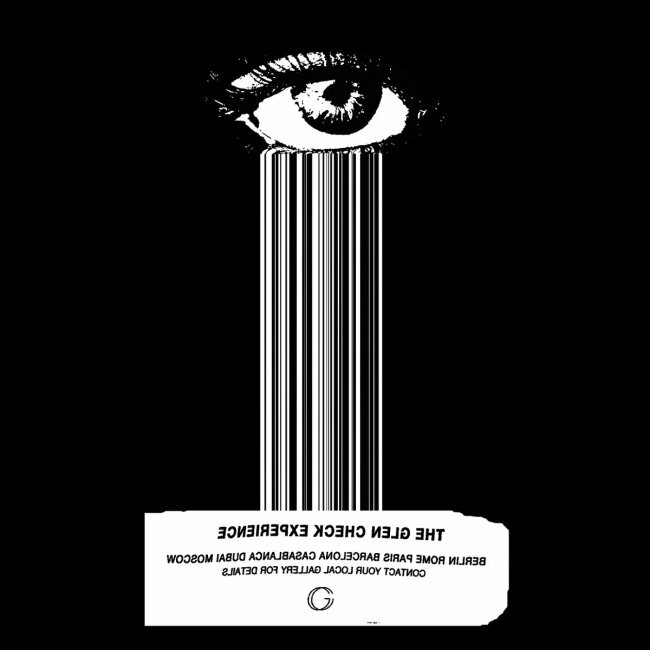 The first track, “Follow the White Rabbit,” a reference to “Alice in Wonderland,” describes the curiosity incited by a new, surreal world and acts as an introduction into Glen Check’s world. Live instruments have been incorporated into the songs, a departure from previous dependence on purely electronic sounds. The album wraps up with “Rude & Confused,” a 1990s acid jazz-type tune that offers a rage-filled open ending -- a “cliffhanger,” according to Kang. “The next album will kick off from there,” he says. The duo will be working on individual projects in the future. As for Kang, he hopes to venture even further into the experimental side. The Korea Herald is introducing Korean singers, musicians and actors poised to join the next wave of top stars in a twice monthly series. - Ed.